Training indoors can be boring but not when you have the best smart trainers. With so many options available, it is now possible for you to bring your workout indoors. None the less, you can forget about bad weather or worry about what to wear. Just hop on your bike and enjoy the best workout on a smart trainer. Don’t believe us? We give you five solid reason to make the shift from a basic indoor trainer to a smart one! Who said riding a bicycle is not fun? When you have a smart trainer, staying engaged and entertained is way easier. Thanks to some pro engineering. All you need to do is connect it to your favourite virtual training software and off you go! With smart trainers, you can experience exactly what you see! Trust us, smart trainers are more than just a piece of equipment. If you’re looking for performance out of your training session, a smart trainer can keep you more accountable to your training plan. If you are all about achieving your targets, the ERG feature of smart trainers will make it easier to achieve your target. Simply set your target watts and begin working out. What do you do when you want to ride on a variety of routes on your basic indoor trainer? With a smart trainer, you can get access to a variety of workouts! As the trainers offer a variety of resistance ranges, gradient and much more! If you’re one of those who prefer training with power, getting the right numbers is vital. To do so, there are two ways you can follow. Train on a smart trainer. However, there’s a major difference between the two. A power meter will measure the direct force applied to the bike to push it down the road. Whereas, a smart trainer will measure the dirt force applied all the work that has dissipated during the ride. Both methods yield numbers close enough to each other to be used interchangeably in a training plan. Well, who doesn’t like staying updated with the latest technology and trends? Same applies to cyclists when it comes to smart trainers! They are super easy to update and keep enjoying your indoor training sessions! If there’s a new training app on the market or a bug that needs fixing, a firmware update can give your trainer a new feel. 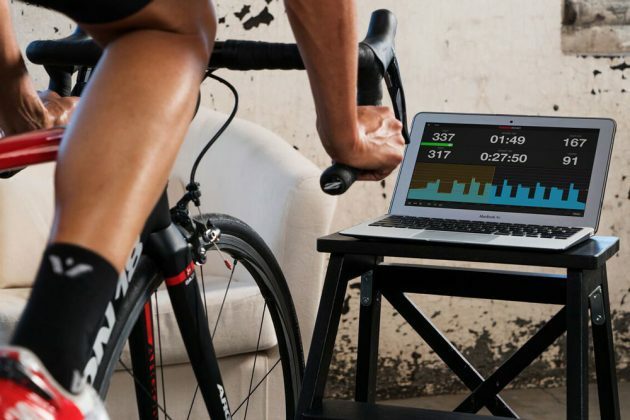 Now that you’re aware of the 5 reasons to shift to a smart trainer, here ’s a list of the best indoor cycling trainers that are suitable for everyone and every budget.